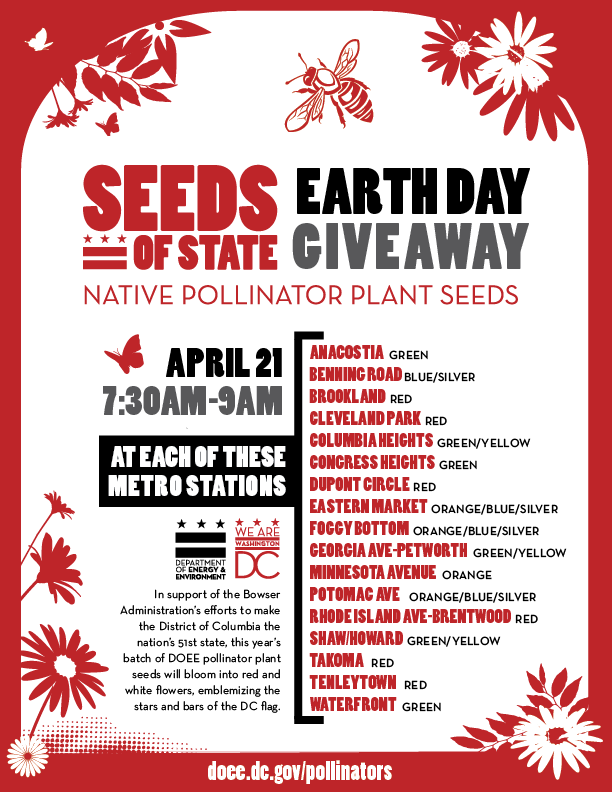 DC Giving Away Flower Seeds at Metro Stations on Friday | Park View, D.C. In honor of Earth Day, the District’s Department of Energy and Environment will be handing out free packets of native plant seeds. The seeds handed out this year will bloom into white and red flowers and support the habitats of pollinators, like bees and butterflies. In our area, seeds will be handed out at both the Georgia Avenue and Columbia Heights Metro stations. This entry was posted on April 20, 2017 at 7:01 am and is filed under Environment. You can subscribe via RSS 2.0 feed to this post's comments.